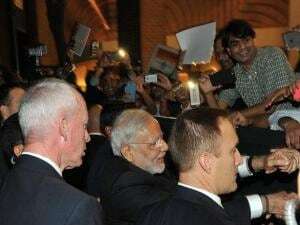 Prime Minister Narendra Modi gestures upon his arrival at John F Kennedy International Airport in New York on Wednesday. 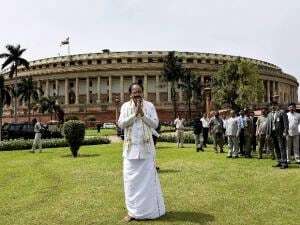 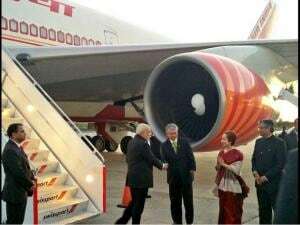 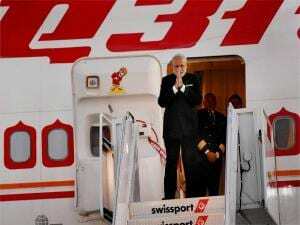 Prime Minister Narendra Modi meets with officials upon his arrival at John F Kennedy International Airport in New York on Wednesday. 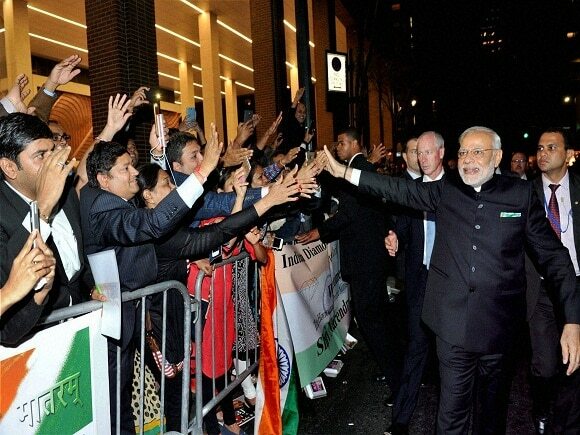 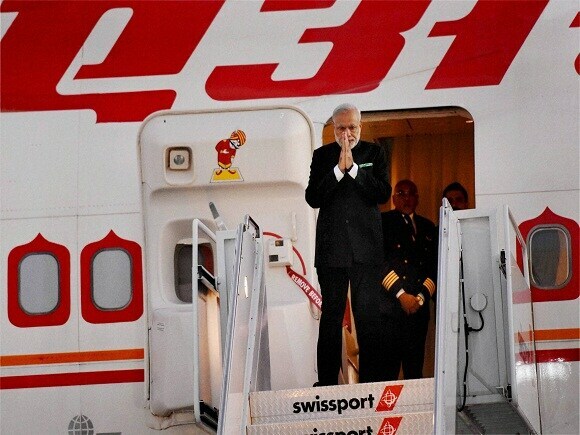 Prime Minister Narendra Modi being greeted by the people on his arrival in New York on Wednesday. 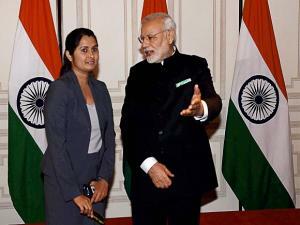 Prime Minister Narendra Modi with a member of Gujarati community in New York on Wednesday.